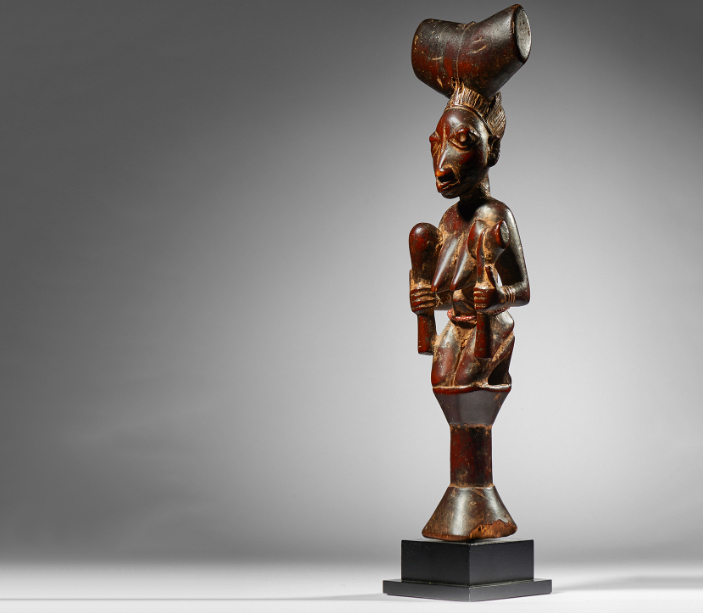 Native auction house in Brussels will sell German historian Helmut Zake's incredible collection of ancient and contemporary African art, as well as European art and furniture. 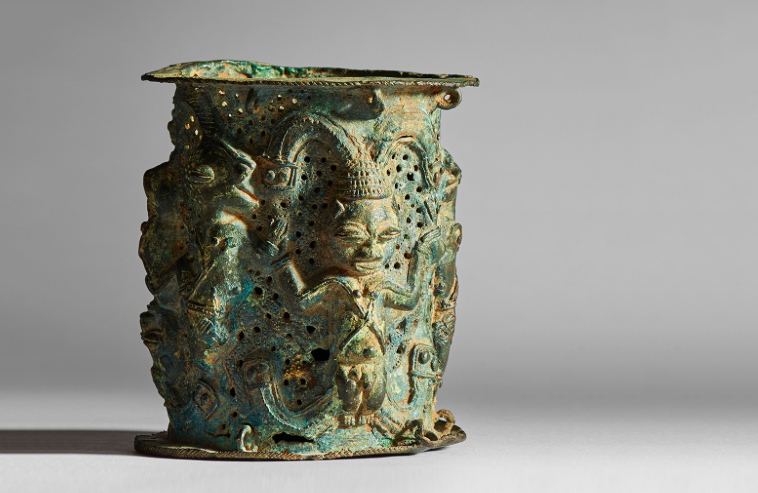 Helmut Zake's passion for African art began in the 1960s and when he become head of the Department of Foreign Studies and International Relations at the University of Heidelberg, he spearheaded ethnological research and valuation of African art. He formed a group, including ethnologist Hans Himmelheber, which became known as the "Circle Zake". Together, the members of the group set out to place works of African art in an appropriate cultural context, but also determine the best way to judge their value. A discerning collector, and always in search of superior artistic quality, Zake amassed an African collection of unparalleled rarity and authenticity. Among the different forms of African art, sculpture is probably the best known. 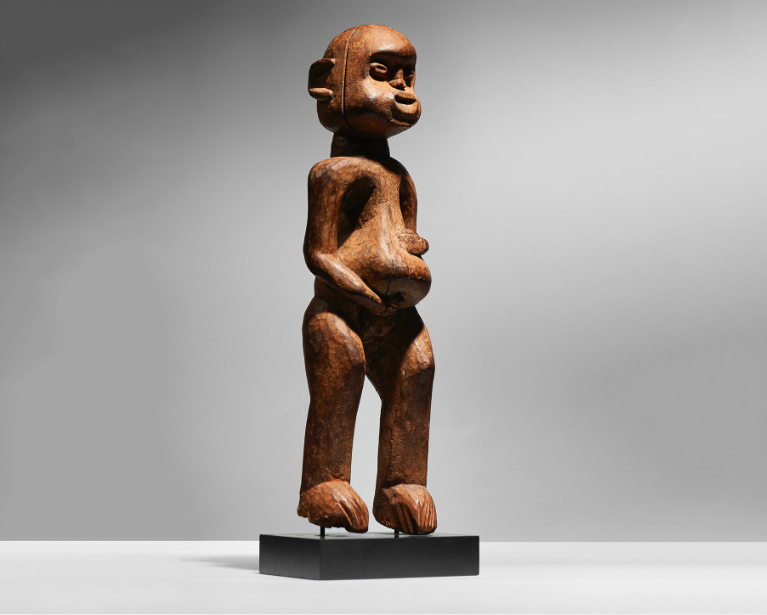 In African art, statues of human figures are mainly represented, although some animals, such as birds, antelopes, monkeys, or leopards, are also depicted. There are a few statues representing a moving human figure, but usually the figure is carved sitting on a stool or standing with knees bent. Shango statues, like this model from the Yoruba ethnic group in Nigeria, are usually used by priests or priestesses during ritual dances dedicated to Shango, god of thunder and the main figure of the pantheon of the Yoruba gods. 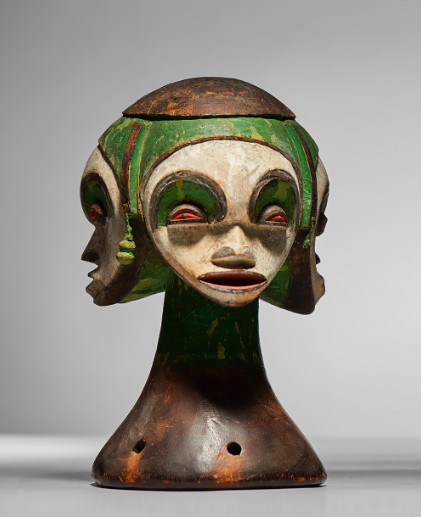 Masks are objects of art that continue to fascinate historians and collectors. Much more than just works of art, they are objects of worship: sacred accessories that also reveal the social life of their ethnic group. 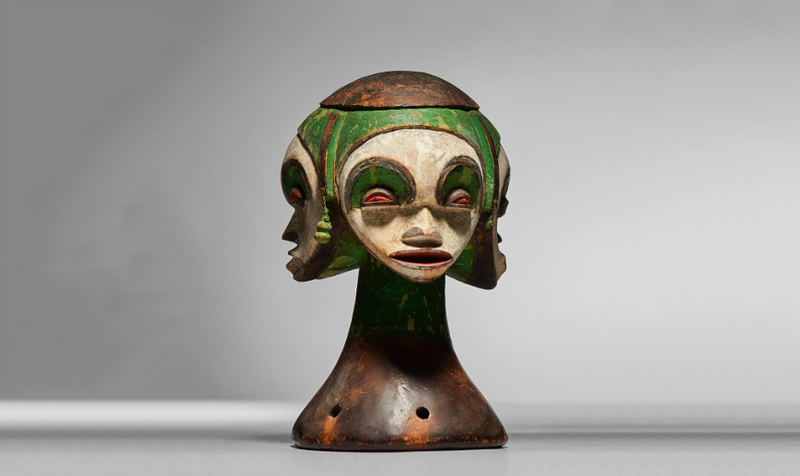 In the Idoma culture, a West African population residing mainly in southeastern Nigeria, there are few masks with many faces, such as this incredible, rare model painted with green, white, and red pigments. 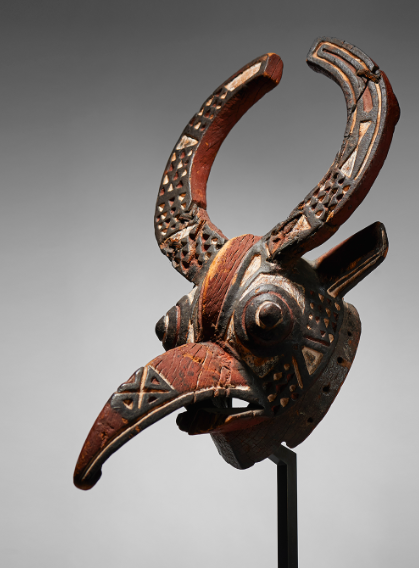 Although Idoma masks were used to define social ranks, they are now more common and appear at various festivals and celebrations. The Idoma style is distinguished by the open mouth of the figures, which often reveal a row of teeth. In Burkina Faso, their masks accompany the stages of life and seasonal traditions, and therefore, come out mainly during the dry season. The Bwa are a population of West Africa living on the border of Burkina Faso and Mali, an area that has a rich artistic tradition. Many of their masks represent animals and can reach impressive dimensions (up to eight feet high or wide). They are often covered with black, white or red graphics, which represent the social and religious laws that people in the village must comply with if they wish to receive the blessing of their gods. The second collection presented within the auction was acquired by the Belgian couple René and Odette Delenne in the 1970s. 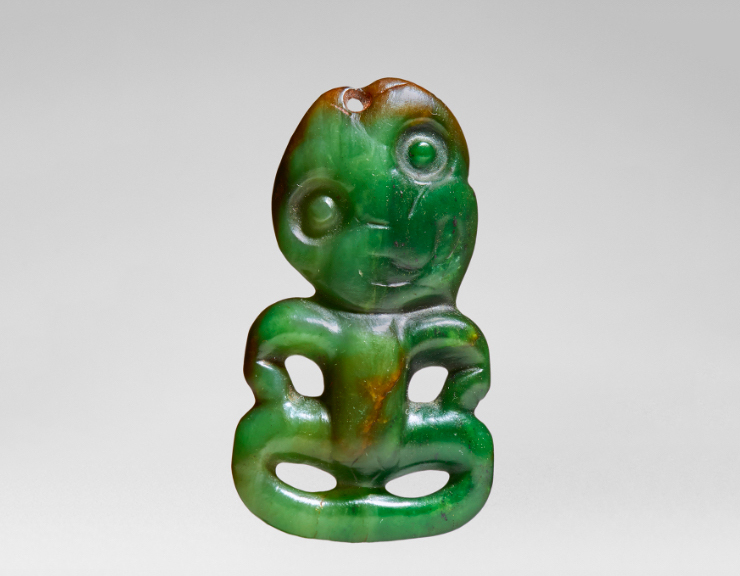 Oceanic art is represented by a superb Hei-Tiki in nephrite, a traditional Maori pendant (the Maori are the indigenous people of New Zealand.) The Hei-Tiki is portrayed as a human being in a resting position, his legs are folded under him, his arms resting on his thighs, while his head is bent to the right. This pendant is often worn around the neck of a Maori and embodies an ancestor. The Hei (meaning pendant) Tiki (meaning human) brings to its owner the mana (or power) of the ancestors. In addition, there is an untitled work by Pierre Dimitrienko, a French painter, engraver, and sculptor of abstract art in the 1950s. 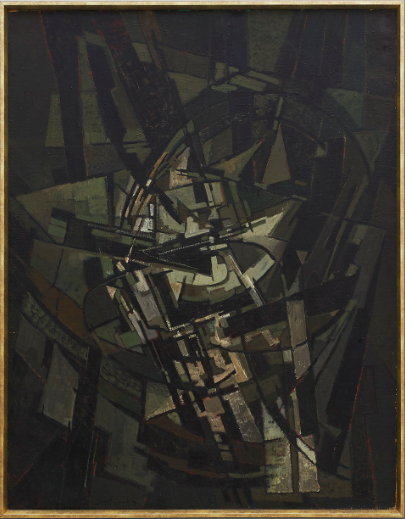 His work was expressionist in technique, with blocks of dark, subdued colors and delineated abstract shapes. Gio Ponti, currently honored in a retrospective exhibition at MAD Paris, created a prolific body of furniture work that has revolutionized the world of architecture and design. The Distex armchair is the first in a long series that Ponti produced for Cassina. 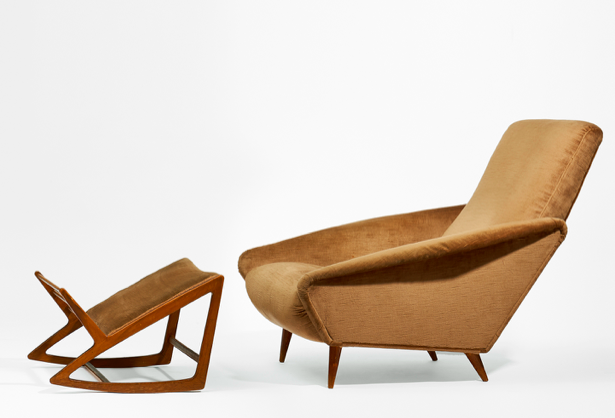 As Marc Romanelli explains, the Distex model with its elongated figure shows a desire "to break with the bourgeois seated position that was prevalent at the time in the early 1950s, and to encourage people to take a more "lounging" and relaxed position." Ponti also questions the systematic habit of placing chairs against a wall, so the diagonal edge of the chair suggests a freer placement in the domestic space. This sale will be held on January 26 at Native. Find all Native lots on Barnebys!